Unfortunately, not everyone in the business is as grounded and honest as Garvin’s, whether you’re talking about emergency plumbing or sewer cleaning. We want you to call Garvin’s when you have plumbing problems, but even more so we want you to not fall victim to unscrupulous plumbers in Northern Colorado. Here are some warning signs to look for that can tell you if you’ve encountered those plumbers you should avoid. Now don’t get us wrong, we’re going to knock on your door after you give us a call. After all, we’re not going to just barge in without letting you know we’re there! What we’re talking about are the people who knock on your front door and offer you services. They might say “other people in your neighborhood have been hiring us for sewer cleaning, you should get yours cleaned too,” or maybe they’ll let you know about a special on rooter service. The fact is, sewer problems are individual to each house, and you might never need a sewer jetter down your pipes. If you don’t notice a problem, there’s probably no problem. Plumbers don’t go door to door. With over 75 years in business, people call us when they have plumbing and sewer needs. 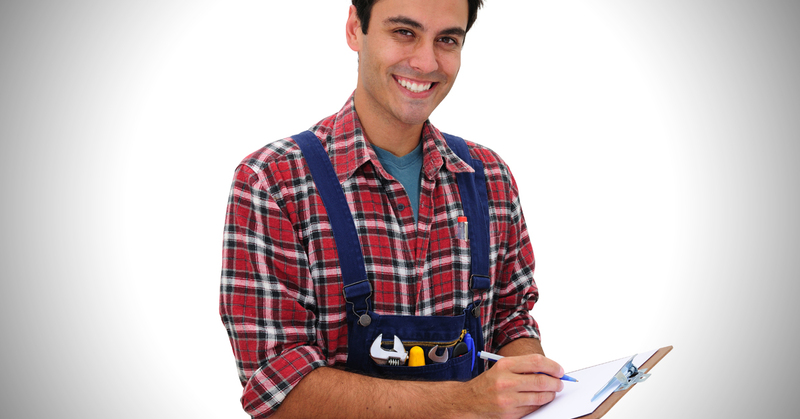 Let’s say you don’t need an emergency plumber but are still looking for some plumbing help. You call around and get four quotes: $349, $425, $399, $449. The fifth call you makes get you a quote for $99 dollars! That’s a good deal, right? Right? Well, if it sounds too good to be true, it probably is. Every business has to start somewhere, but if a plumber says that they’ve been around for years but their website is only a few months old, that’s a hard story to swallow. It’s likely that they had to close up shop when the old business went under and start up a new one…something they might do over and over as they ruin their reputation each time. It might sound obvious, but be sure to check reviews online. Check to see how many reviews they have, because the number of reviews can lead to getting a better plumber. It’s normal for a company to have one bad review out of fifty, because you simply can’t meet everyone’s unrealistic expectations. But you don’t want to hire a place that has two reviews that are both 5 out of 5 stars…because those reviews were left by the owner and his brother! When you’re dealing with your home, you don’t want to trust it to just anyone. You want sewer service that is reputable and reasonably priced. If you’ve decided on the plumbing and sewer service experts at Garvin’s, contact us here.